... and two readers will win a Body Shop Sun Lustre Bronzer from Body Shop's newest makeup collection, the Sun-Kissed Makeup Line. I'm a big fan of this book series, which is, by the way, very very British. Being in London made me understand and appreciate the book way better--the night bus, wizarding money, kids sent off to boarding school, etc. Anyway, about this time last year, I was looking forward to and dreading the arrival of the very last book in this series. When I finally got to the last page, I felt bereft. No more adventures from this wizard I've grown to love for the past seven or so years. So when I was booking our hotel a couple of months ago, I was so giddy when I found out that our hotel sat right beside Kings Cross station. And if you’re a fan of this book, you know that a special kind of train sits waiting there for its special kind of students! Kings Cross is a huge train station but I dragged Vince there anyway, looking for Platform 9 and ¾. I just had to have a picture! Then I can pretend that I’m on my way to Hogwarts! Vince thought I was being silly. After two attempts and getting lost in the process, we finally found it. 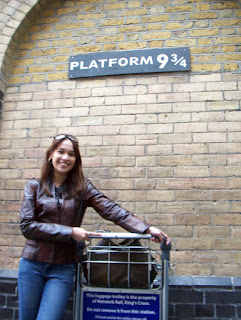 I really squealed like a kid when I found Platform 9 and ¾. I ran up to the wall, took hold of the luggage trolley and very excitedly (and stupidly) pushed and pushed that trolley into the wall. I mean, it was already halfway in! Alas, there must be no magic in me whatsoever because the wall refused to let my Muggle self through. Nevertheless, Muggle or not, our London honeymoon was pure magic. We had so much fun (yep, despite the cold, the bland food and getting left behind by our plane because the train got into trouble and we were stuck underground for 2 hours and 50 minutes). Though Vince and I had known each other for 9 years, this week-long honeymoon made us discover more about ourselves and that it’s possible to fall even more in love with each other. London was wonderful because we are in love and nothing can be more magical than that! What famous book series about a boy wizard and his adventures prominently featured Platform 9 and ¾ of Kings Cross station? Two readers who will leave a comment on this post with the correct answer will win a Body Shop Sun Lustre Bronzer, which will add an enchanting glow to your skin that’s sure to bewitch all the men out there! 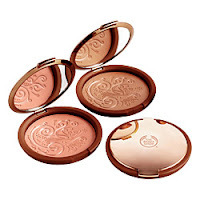 I have two kinds: the Bronze Gleam (for morena) and the Radiant Blush (for maputi), each worth $25 or Php1,135. So tell me which one you want! 1. Winner will be randomly picked by me. Please don't contest the results. I have different qualifications depending on my mood! 2. Winner must have a Philippine address since shipping outside the country is expensive. 3. Please comment in this format: your answer, the bronzer variant you want (just one! 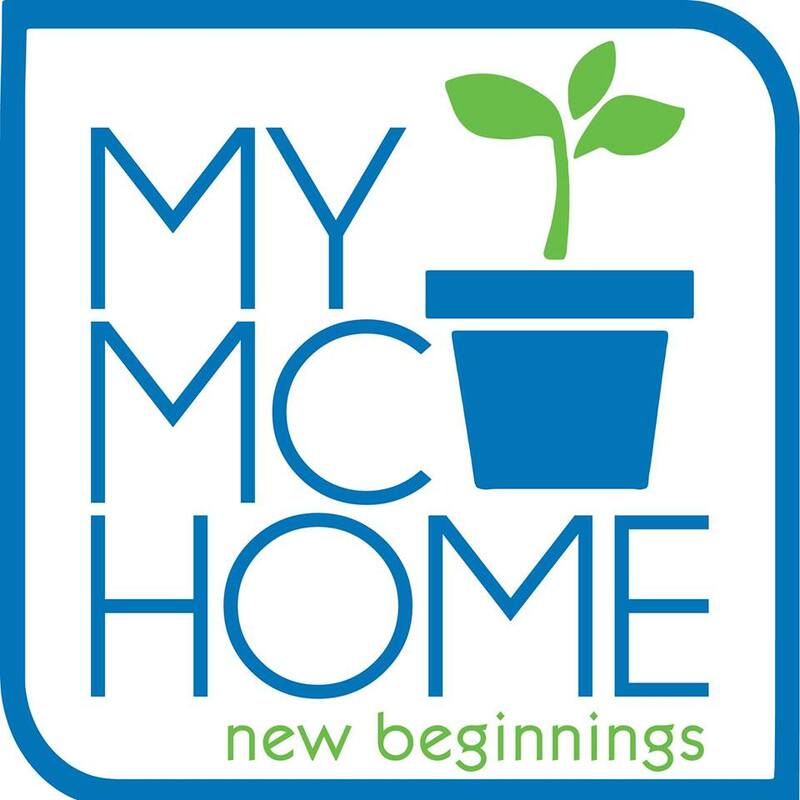 ), your first name, city where you're from, and email address. 4. Please do not put your full name and delivery address in the comment box since this blog is not secure. If you put your personal info, I will not be responsible for any identity theft and other problems that may arise from your actions. 5. I will announce the winner in a blog entry on July 15. I will also publish all entries then. So join lang nang join, mga friends! Baka manalo ka na! My Answer: Harry Potter, Radiant Blush, name's Eliza from Quezon City. Email add is etrono@gmail.com. Harry Potter! :) Radiant blush, Ria, QC, hotairballoon[at]gmail[dot]com. p.s. I would love to have my photo taken at that platform too! I've been a biggest fan of your blog...i saw you one time at Galleria but i dont wanna just say hello to you coz i dont wanna scare you again like what you wrote on your recent blog....youre right, privacy really matters. So i just really enjoy your blogs...keep it up and congratz again to you and Vince! Hi Candice! I wish you'd say hi to me! Actually, I don't mind it when readers of this blog and OK! mag say hello--it's super nakakatuwa. I get so excited kasi yehey, may nagbabasa pala sa aking scrambled thoughts (blog) at nagpapasweldo sa akin (magazine)! Yung ayaw ko eh yung haharangin yung grocery cart mo with her cart; I thought I was being attacked! I've met several readers of this blog. May mga pictures pa nga kami together haha! 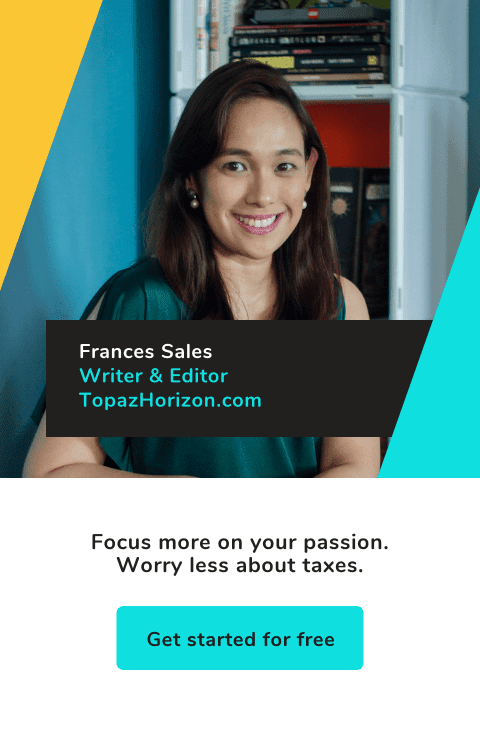 Seriously, your adventures sound uh-MAY-zing, Frances. The London Eye! It's one of my places to visit.^_^ I'm a big fan of ferris wheels, too! Hi Frances! I enjoyed reading about your honeymoon! I laughed so much! Sad that the kuwentos all came to an end though. I wish I could visit England again. I'm the only who hasn't been back yet. Ugh! (Buti pa mga kapatid ko!) Thanks for letting me enjoy London. See you and Vince soon! P.S. Puwede ba akong sumali ng contest mo? Doesn't seem fair since we're related. Haha! Hi Grace! Yes, we enjoyed so much. Thanks for joining my contest! Mariel, haha, Vince thought I was so silly when I was pushing the trolley. I think I was silly for being so excited. Pero ang galing ng fantasy talaga, no? It transports you talaga, makes you believe in magic (and I do!). Anyway, I hope you're right about those NYC delis! Hi Lizelle! Hello, hello! Yes, you and Joben should go on another honeymoon =) We'll help babysit! And yes, pwede ka sumali sa contest ko haha. Only 12 people have joined--and all their answers are correct! But I'm not publishing their entries until the 15th so join lang nang join! Your question is sooooo easy to answer! Harry Potter! And you're soooo fortunate to have gone to London! I have never had the chance to travel to Europe. I have only been to the US, Korea, Japan, Hongkong and Singapore. But after reading this post, I promise myself that one day, I will definitely go to London and visit the King's Cross station! :) And oh my, platform 9 3/4! Me, a huge Harry Potter fan! Hogwarts, here I come! Oh by the way, I agree with Mariel about the food in NYC! The Crowne Plaza and the Renaissance offer really great food choices, ranging from $14-$26++.